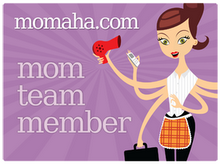 I have been trying furiously to find something that I want so that I could update this blog with something fabulous! However, I obtained (received or purchased) some of my very favorite things that I have posted here before. I have also written of my technology travails and have some updates on that, as well. My stupid HTC Aria is now non-working again. If you remember, the screen had shattered for no apparent reason and I took it upon myself to fix it after weeks of waiting for a stupid part to come from Asia… only to not have the proper tool to actually install said screen. Then I dropped it while shopping one day and the screen went black. After a tedious repair department exchange, I am coveting an iPhone even more than before. Alas, I’m not due for an upgrade ’til this time next year! Next up: The Kindle. My husband, who was not supposed to be shopping for me this year, bought me the new Kindle 3G. I love it more than I even thought I would. I was all out of books and too wound up to sleep on Christmas night. I just grabbed my Kindle, dialed up the book I wanted and logged into my Amazon account, where all my credit card information was stored. So from the comfort of my own bed, I bought my first book! What can I say, I’m in love! Workout clothes. I also received that cute Athleta, long sleeve running tee for Christmas. I’m sure after the holidays are sufficiently over, I will love wearing it to run outside or to go to the gym. It’s almost too adorable to work out in though. 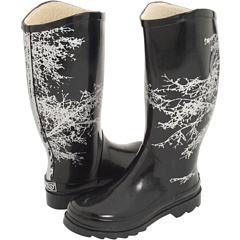 My black Sporto rain boots with the tree print went on sale at Piperlime.com right after Christmas. I received them today, promptly tried them on and of course, my calves are TOO BIG! They hit me at the most inconvenient place, just like ski boots… so I gave up skiing. I will NOT give up rain boots. I have the other quilted Sperry pair coming in a few days… fingers crossed, they will fit better. Software. The HGTV Home Design for MAC also showed up under the tree (amazing how well my 4YO and my 18MO follow my blog here at Little Black Sweats.) It’s really cool software and although I’m dying to figure out how to use it, I haven’t gotten past setting up the walls to virtually redesign my whole kitchen. Hopefully, I’ll have reason to post some renovation project pictures in the near future.